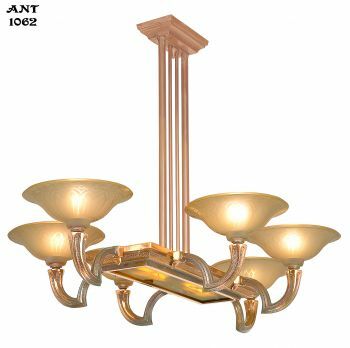 Polished brass finished metal frame, with daisy pattern crystal shade and stem. 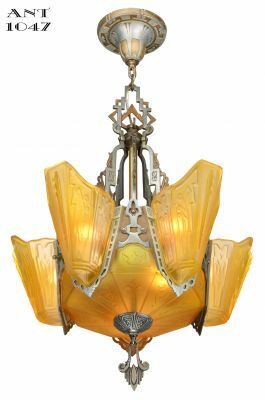 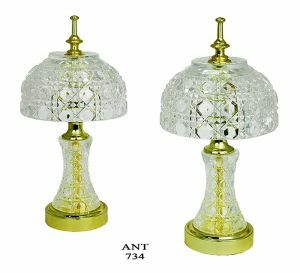 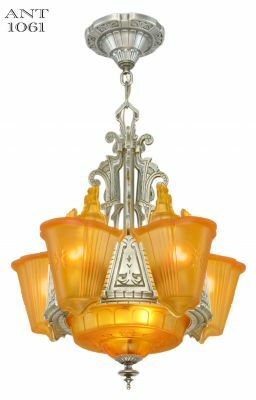 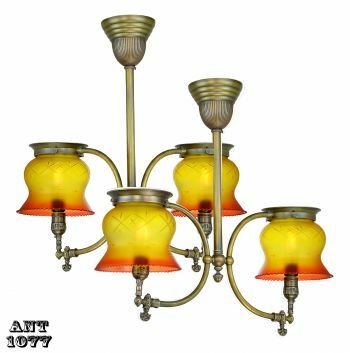 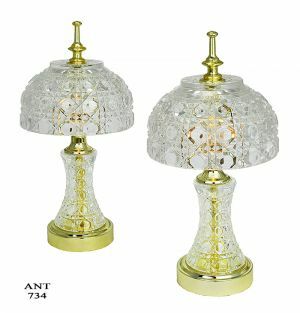 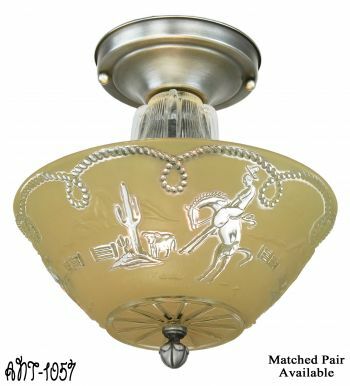 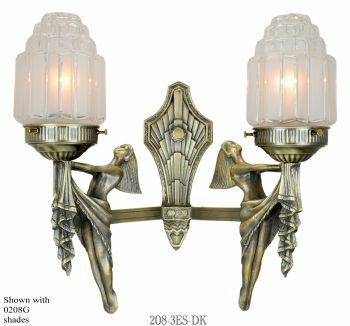 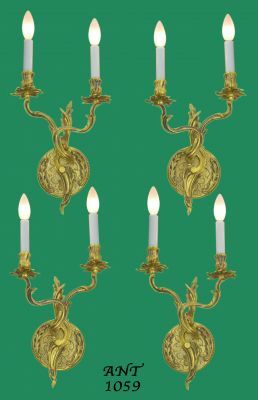 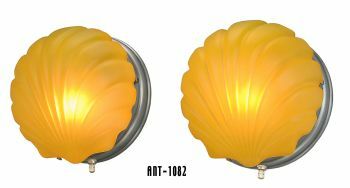 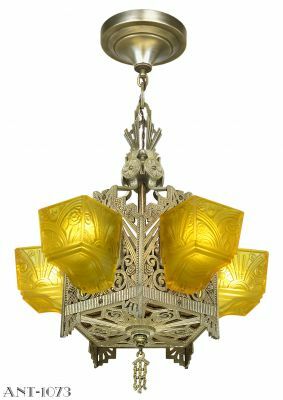 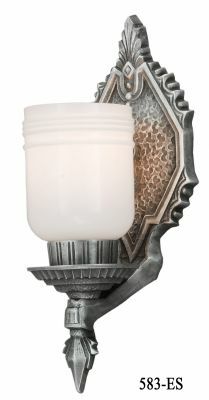 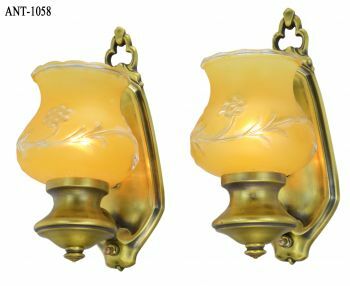 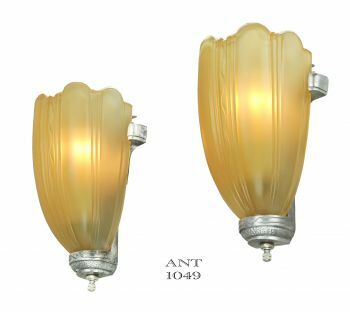 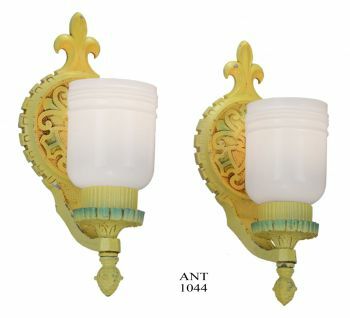 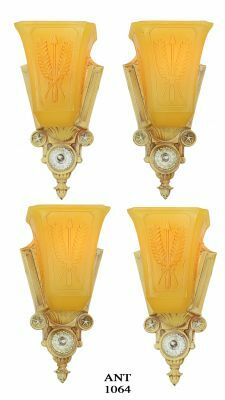 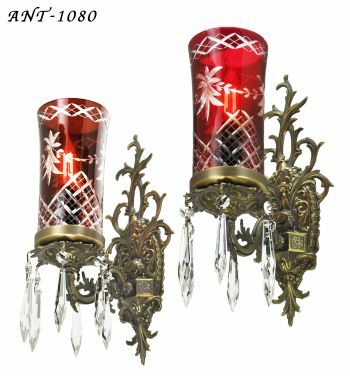 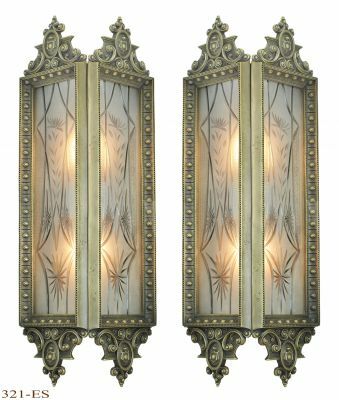 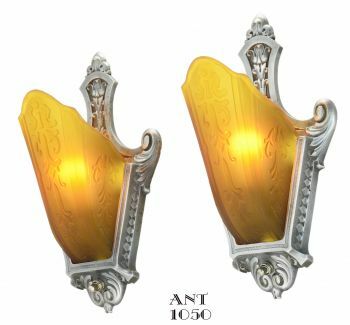 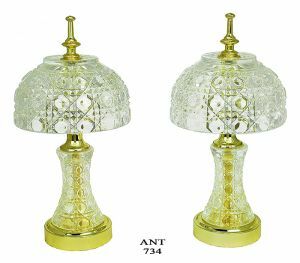 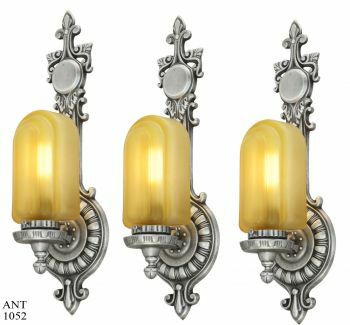 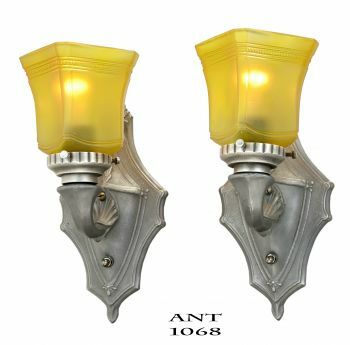 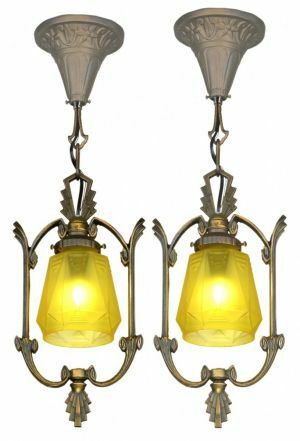 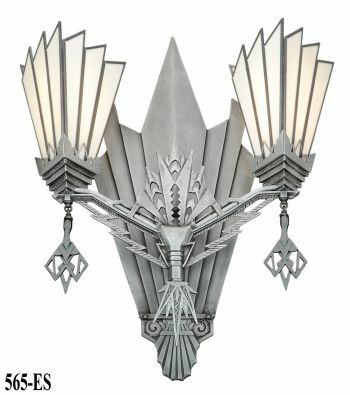 These are strictly accent lamps, as they only have one small base chandelier socket within them. 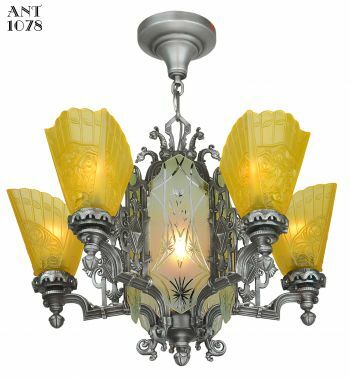 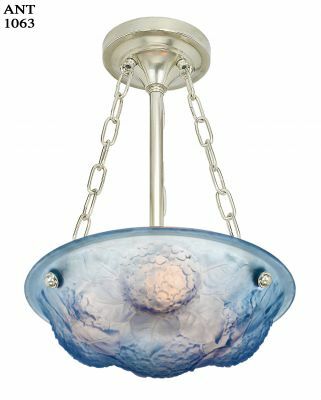 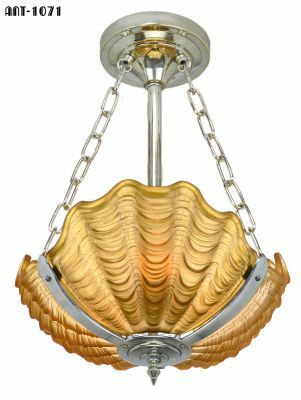 Can use chandelier incandescent bulbs...or luckily, LED power bulbs with chandelier bases that can give you more light than incandescent bulbs. 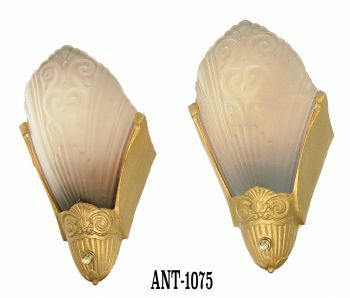 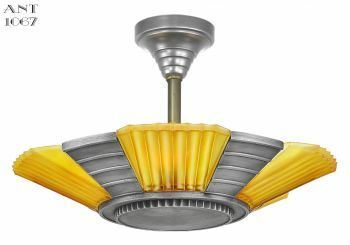 There is even a new tech LED COB bulb at 7 watts with a small chandelier base, which would be equal to an output of nearly 75 watts incandescent bulb. 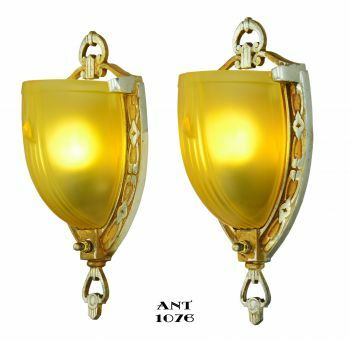 Width: 6" maximum, which is the outside of the shade. 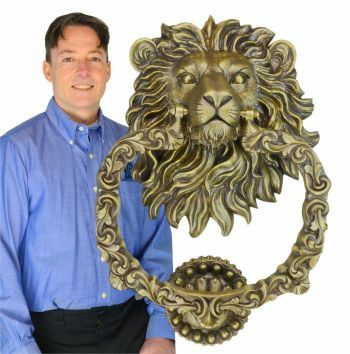 Footprint: 3 ¾" diameter base. 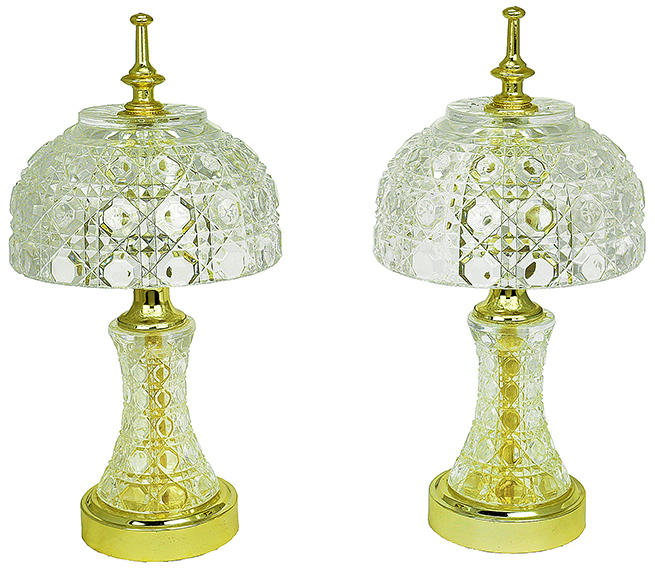 Price: $395.00 for the pair, plus shipping costs.